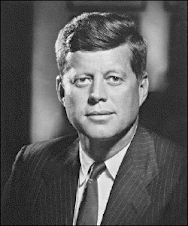 Justice For Kennedy: What is CAPA doing? 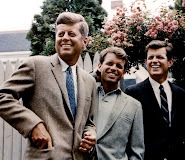 In an article disputing an obit about Davey Johnson Roundtree written by The Washington Post, CAPA, the Coalition of People against Political Assassinations wants to point out that even here The Washington Posts continues to malign JFK. But, CAPA being the rebranded remains of COPA ( the Coalition on Political Assassinations ) gets a few things wrong. I'll just highlight one for now. It is written by Andrew Kreig. Kreig mentions how Roundtree was the lawyer who won a 1965 jury acquittal for Raymond Crump Jr., accused of murdering Mary Pinchot Myer. Myer is alleged to have been one of JFK's mistresses. 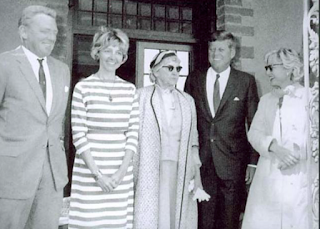 What Kreig gets wrong is what many, many people get wrong and that is the use of this cropped photo ( see below ) which appears next to this text, "Mary Meyer is shown at the White House with the president during one of her visits with [Ben] Bradlee and his wife Antoinette Pinchot Myer." Wrong. This cropped photo was not taken at the White House. 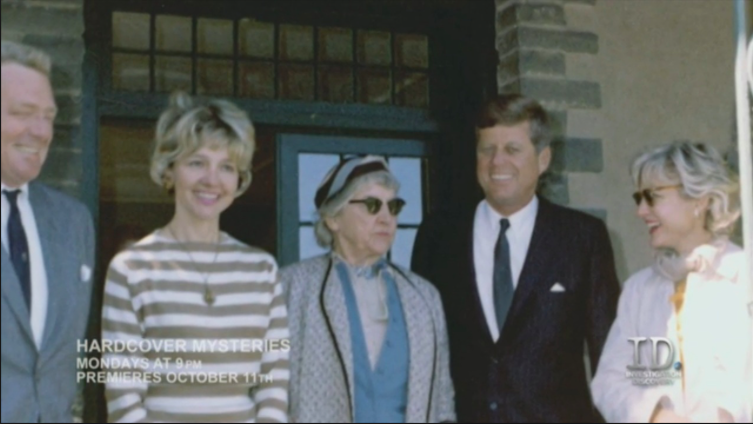 It was taken in Pennsylvania at the Myer's family's summer estate, Grey Towers. 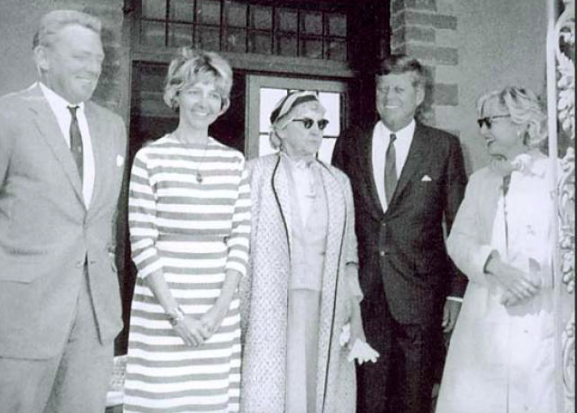 The full photo shows Mary Meyer's mother, Ruth, and her sister Antoinette (known as Tony), who married Ben Bradlee, and her brother, Dr. Gifford Pinchot who were donating the family's summer house, Grey Towers, to the U.S. Forrest Service. 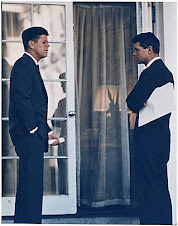 It was not taken at the White House, nor is it proof of JFK and Myer having a relationship and "doin' it," as it is often presented. 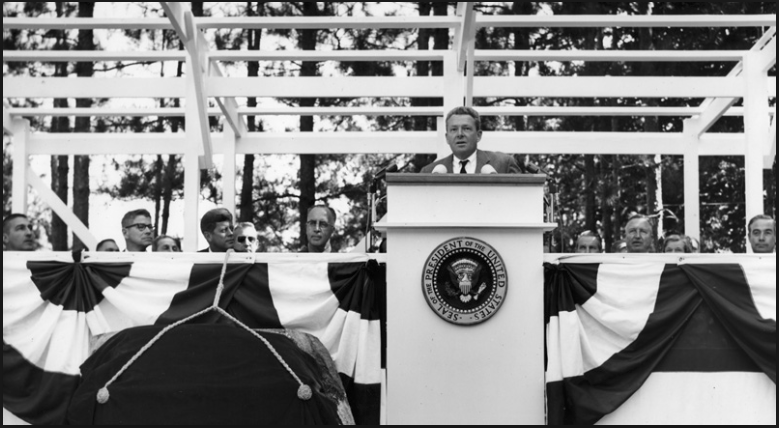 This photo was taken at the start of JFK's Western conservation tour in the Fall of 1963. 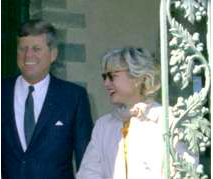 This largely overlooked tour took place Sept 24th to 28th, 1963 started at the Myer estate, known as Grey Towers in Milford, Pennsylvania where this photo was taken on Sept. 24, 1963. 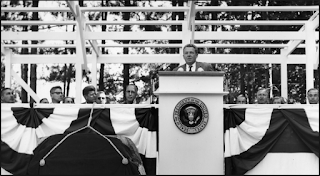 On the surface the trip was about the conservation of the country's resources, in reality it was a step in laying the groundwork for JFK's 1964 re-election campaign. Dr. Gifford Bryce Pinchot addresses the crowd at the Pinchot Institute dedication ceremony. 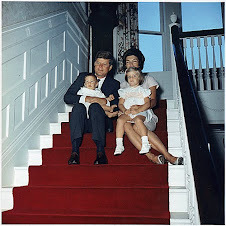 JFK is seated to his right behind him.